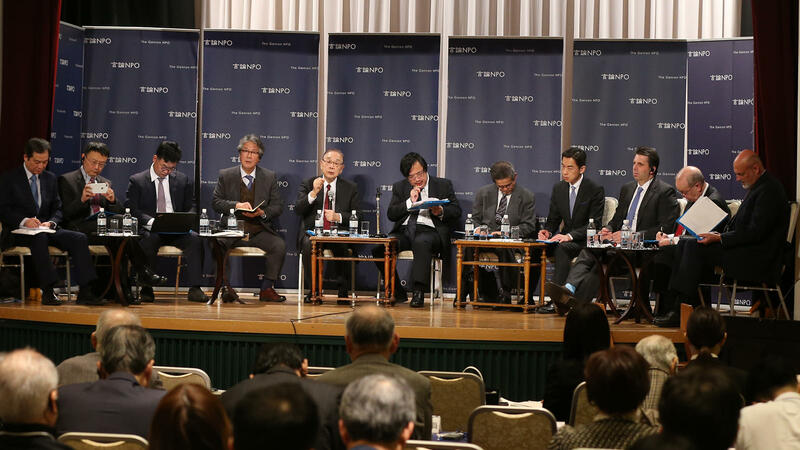 On 16 January, The Genron NPO hosted the Japan-US-China-ROK Dialogue 2019 at the Gakushi Kaikan in Tokyo and launched discussions on peacebuilding in Northeast Asia. Eleven panelists participated in the public forum held that day. 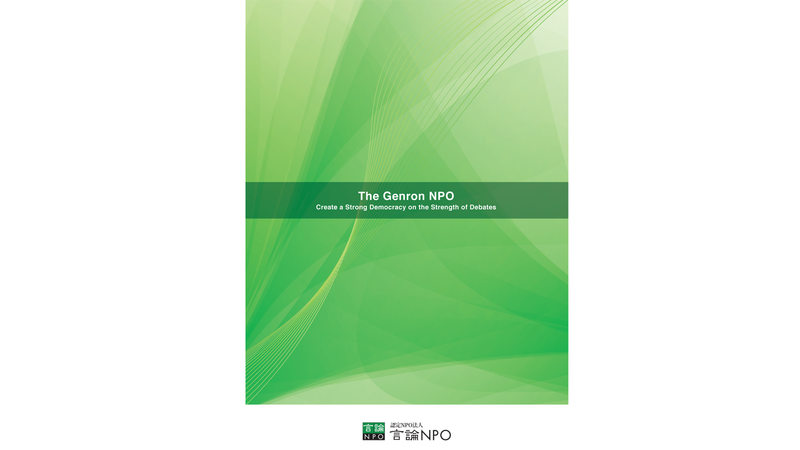 The opening address was given by Yasushi Kudo, President of The Genron NPO, organizer of the event. Kudo described the current situation in Northeast Asia, with the U.S.-Japan alliance in confrontation with China and no existing framework for the maintenance of peace in the region. 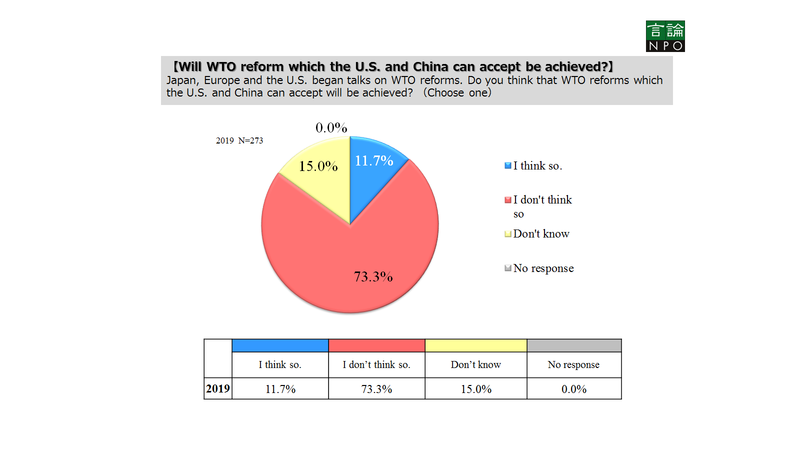 He also quoted from the annual public opinion survey conducted by Genron to illustrate how the Japan-China relationship seems to be improving, but also noted that on the security front, the results showed that citizens of each country feel that the other country is a military threat, with some Chinese citizens worried that Japan may attack China with the support of the U.S. The analysis of the results showed that tensions are spreading among citizens in both countries in so far as security is concerned. "I knew we couldn't just leave things as they are," Kudo said. "That's why we had to start working towards building peace in Northeast Asia." 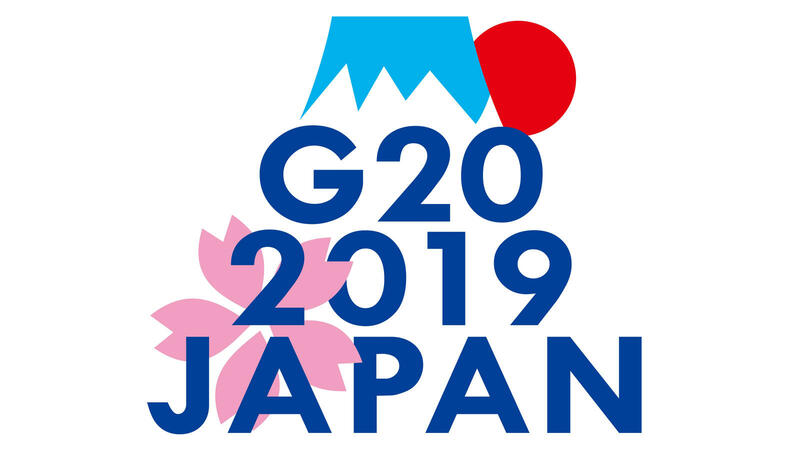 Kudo explained that the multilateral dialogue between Japan, the U.S., China and South Korea was a preliminary meeting aimed at achieving that goal. 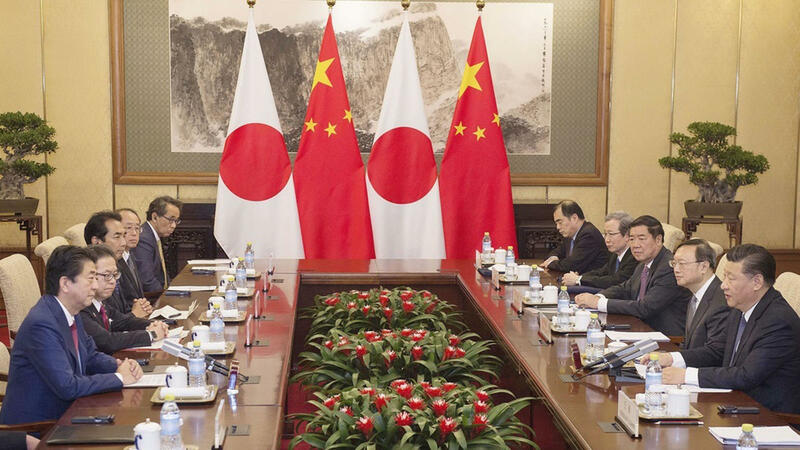 During the 2013 Tokyo-Beijing Forum, Japan and China agreed to a pledge for the renunciation of war, and in 2018, an agreement was reached with the Chinese side to build a framework for multilateral dialogue. 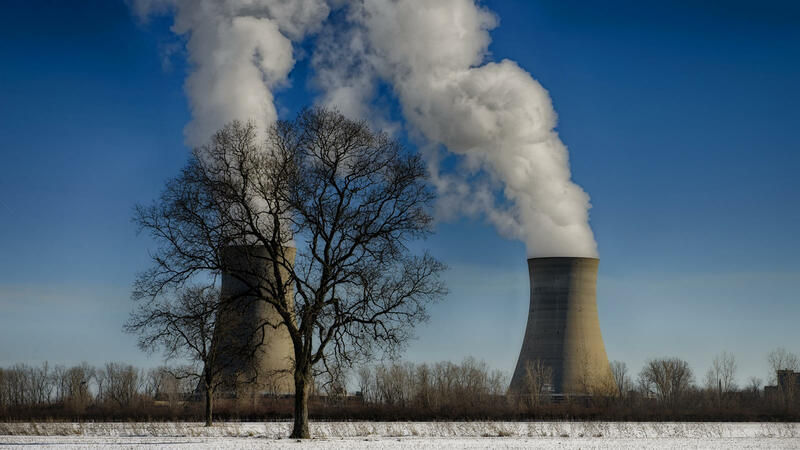 "While we've seen that there are limits to what the private sector can achieve," Kudo said. "Without the private sector's encouragement, governmental level diplomacy can never begin. 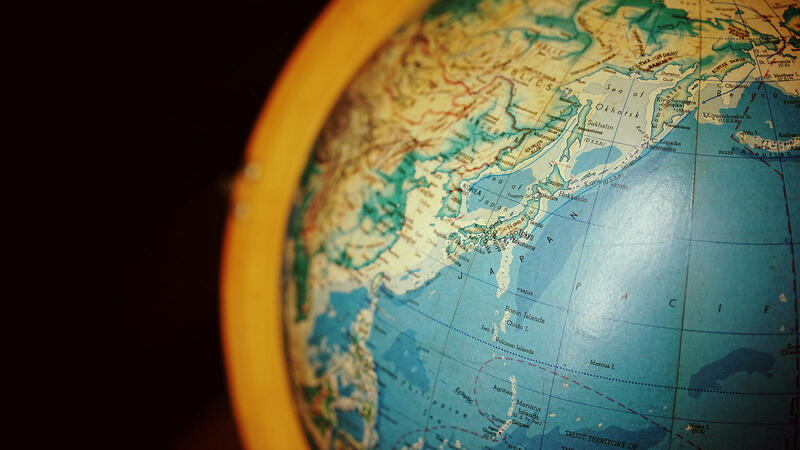 This dialogue is a first step in building a multilateral framework for Northeast Asia." "The rivalry between the U.S. and China is deepening, and there seems to be little progress being made in the negotiations between China and North Korea. It seems that the situation is one in which we have a de facto acceptance of North Korea's nuclear weapons possession. On top of this, ironically, we see cracks appearing in the relationship between two friendly nations, Japan and South Korea. How do we overcome this situation?" Is the U.S. China trade friction inevitable? Yuji Miyamoto, former Japanese Ambassador to China, spoke first, suggesting that the U.S.-China relationship is of utmost importance as the security situation in Northeast Asia continues to degrade. "There were signs of this development back in 2015, but the U.S.-China relationship is now one of strategic competition. The big issue is how to ensure the rivalry is brought to a gentle, quiet end," Miyamoto said. 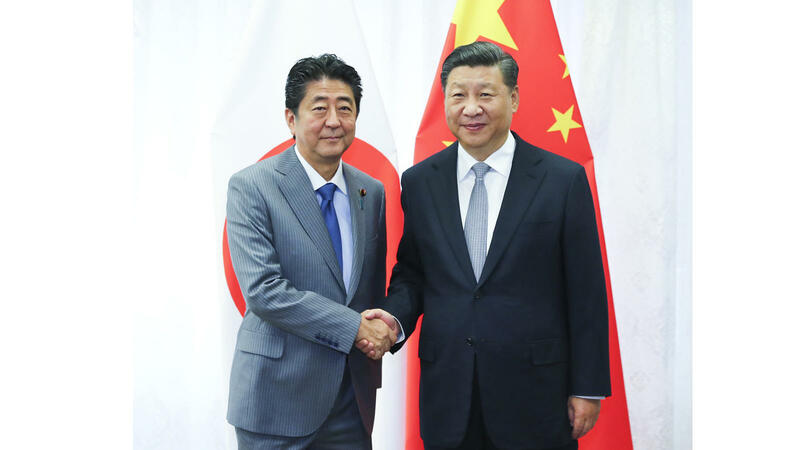 Miyamoto believes that if China is able to adjust and correct the direction of its external economic, peace, and security policies, the situation will not result in a full-blown confrontation; since the U.S. and China share some large common interests, the situation will somehow be resolved. However, because the time frame for such a resolution is unknown, he predicts that the current rivalry will continue. Regarding the North Korea nuclear issue, Miyamoto described how under President Trump's initiative, the state of nuclear development in North Korea was thrust before the international community and recognition has grown that the issue is an urgent one. Proactive assessment of the situation should be conducted, he said, but what remains an issue is that the North Korea nuclear problem cannot be resolved without international cooperation, and the major powers must act as one. A particularly important part of that is the improvement of the U.S.-China relationship. 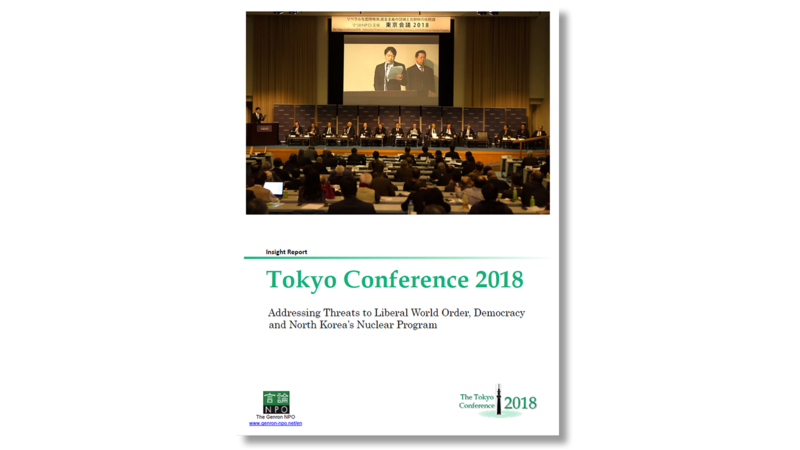 Miyamoto looks to the Japanese government to actively involve itself in the North Korea nuclear problem and the issues between the U.S. and China, and with some hard work, expects that Japan can play a large role in finding resolutions. In the short-term, Miyamoto stated that peacebuilding in Northeast Asia requires a crisis-management mechanism to be built so that nations can get an understanding of the thought processes of other countries, and come to a mutual understanding through dialogue. In the mid to long term, countries have to come to an agreement on what tenets and principles must be followed. It is also important to create a rulebook and build organizations based on the principles of already existing institutions such as the Charter of the United Nations, the Five Principles of Peaceful Coexistence, and the Treaty of Peace and Friendship between Japan and China. Miyamoto believes that more movement will be seen in these issues in the not-too-distant future. Former U.S. Ambassador to South Korea Mark Lippert spoke next, saying that a sustainable peaceful order can be built in Northeast Asia with the reinforcement of four essential pillars. The first pillar is prosperity. Lippert argued that part of what ties the four countries together is the shared desire to prosper, and an understanding of the economic importance of commercial development in line with regional development. The second pillar is the necessity of discussions to determine which rules must be followed. Lippert believes that the four countries should come together to hammer out some mutual rules on free and open commercial operations, the rule of law, peaceful conflict resolution, and other such issues, and then an agreement must be reached on how the four countries should implement those rules. 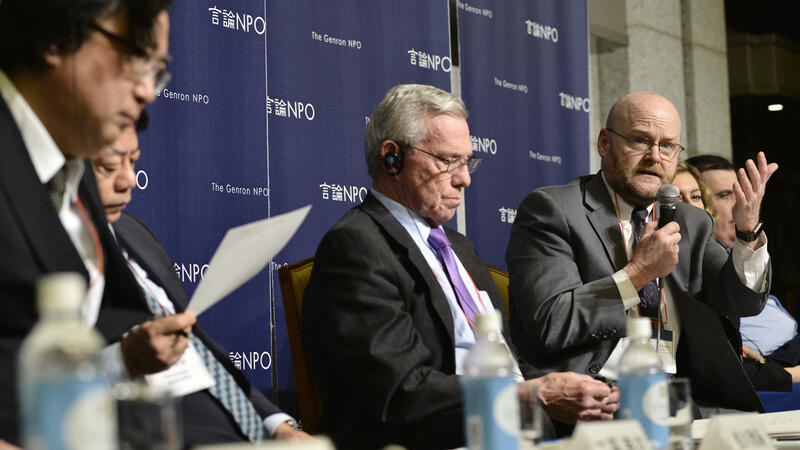 The third pillar, Lippert said, requires a focus on and strengthening of the long-term alliances the U.S. has had with both Japan and Korea, and a dialogue on how to construct a permanent peaceful order. The fourth and final pillar, according to Lippert, is the importance of mental agility and open-mindedness. In concrete terms, the region requires an ad-hoc multilateral cooperative framework, i.e. a forum that will produce sustainable solutions using multilateral mechanisms. At the same time, Lippert emphasized that with the differences in Northeast Asian population dynamics and existence of climate change and natural disasters, actors need to have a certain level of mental agility that will allow for a rapid response to challenges that arise. Qingguo Jia , Dean of Peking University's School of International Studies believes that in order to clarify the issue of how to build a peaceful order, it is important to create a definition for what such an order would entail. Such a definition could involve two parts. First, as order currently exists because there are no major wars in progress, the core of the problem lies in how to avoid war in order to maintain that order. Second, in order to produce a peaceful order that is sustainable, it is necessary for the major countries in the region to come to a consensus on principles, purpose, goals, and standards. In addition, Jia suggested that building a sustainable peace requires decisions to be made on how to deal with hot spot issues, i.e. how to manage them such that they do not result in military conflict. 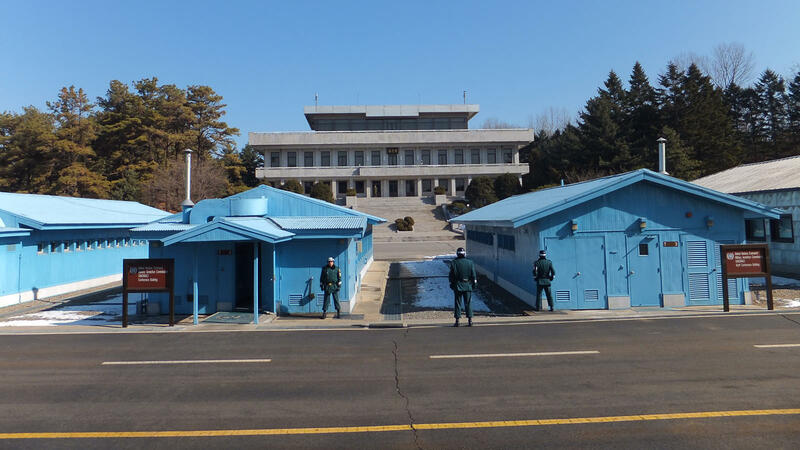 Jia offered the North Korea nuclear problem as an example of such an issue, and suggested that a potentially more effective means of dealing with it would be the carrot and stick approach. Tough measures and sanctions can be used as the stick to communicate that nuclear weapon development is a bad thing; then, as the carrot, the relevant countries could gather and discuss an incentive package that could promise North Korea a brighter future if they abandon their nuclear development program. However, Jia said that the U.S. has unilaterally decided to only use the stick, an approach that he argued is unwise. Jia stated that another potential hot spot for conflict lies in territorial disputes and marine interests. The nations involved in such disputes must manage issues to prevent clashes and confrontations, and one means of doing so, Jia believes, is for the parties involved to make unilateral declarations to "maintain the status quo." In more specific terms, every country involved in territorial disputes will argue that the lands are their own sovereign territory, but each sets up a hot line to maintain the current situation. Jia thinks that by introducing this sort of crisis avoidance mechanism and implementing other countermeasures, clashes can be avoided. Jia continued, suggesting that in addition to hot spot management, it will be important to create an economic foundation on which permanent peace can be built. Jia offered the China-Japan-ROK FTA and the RCEP as examples, and suggested that China's participation in TPP 11 could encourage the U.S. to return to the agreement. In this way, a freer trade framework and a more solid foundation can be built, which Jia believes will potentially help ensure peace in the region. The final key to building a peaceful order is the stabilization of the relationship between the U.S. and China, Jia argued, adding, "The U.S. and China are not so different." Both countries are stakeholders in the international order, and both want to maintain it. 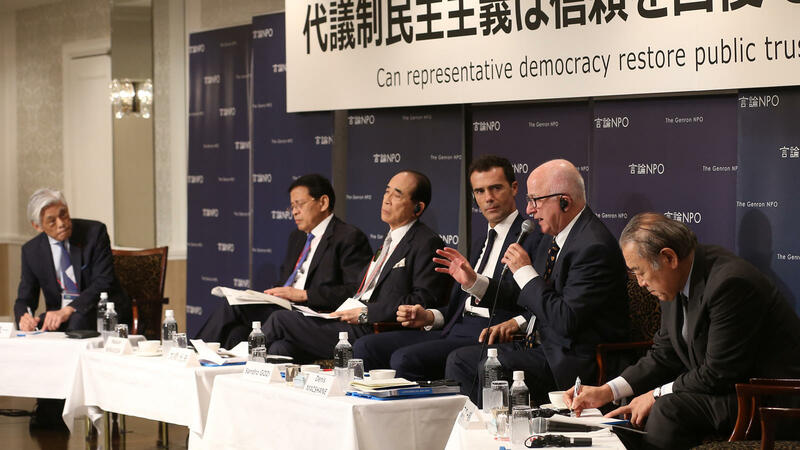 In addition, Jia said, while different in practice, on the conceptual level the two countries share the same values in regard to democracy, freedom, equality, and the rule of law. That is why, he continued, cooperation between the U.S. and China is possible. 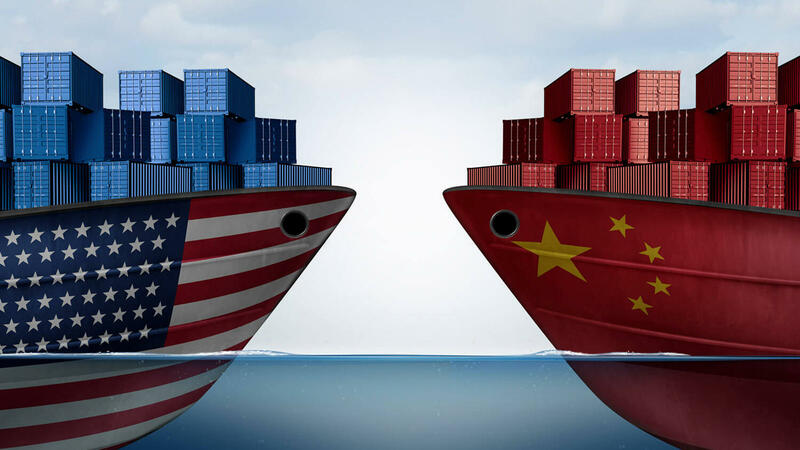 Moreover, Jia thinks that there can be great benefits to the U.S. and China cooperating with each other, for example, with each country being able to make use of the resources of the other country in helping maintain the international order. He believes that the U.S. and China must seek out and recognize their common interests, and in that way, conflict can be avoided. Last to speak was Yonsei University Professor Ki-jung Kim. "South Korea and Japan may not be seeing eye-to-eye on everything at the moment," Kim began. "But I want to point out that what's happening on the Korean Peninsula is connected to peace in Northeast Asia." Kim provided the following four methods as examples of ways of achieving peace in general: 1. each country defends itself forever; 2. limited self-defense arms control is implemented; 3. international security is guaranteed; or 4. countries abandon war and violence, and destroy all weapons. "There isn't only one approach to achieving peace," Kim explained. "And because no single approach is complete, we should be thinking about how to combine them together." Kim added that while there are currently no ongoing wars, stable peace in the region has yet to be achieved. He argued that the North Korea nuclear issue and arms race have combined to create a state of "sustained instability" in Northeast Asia. 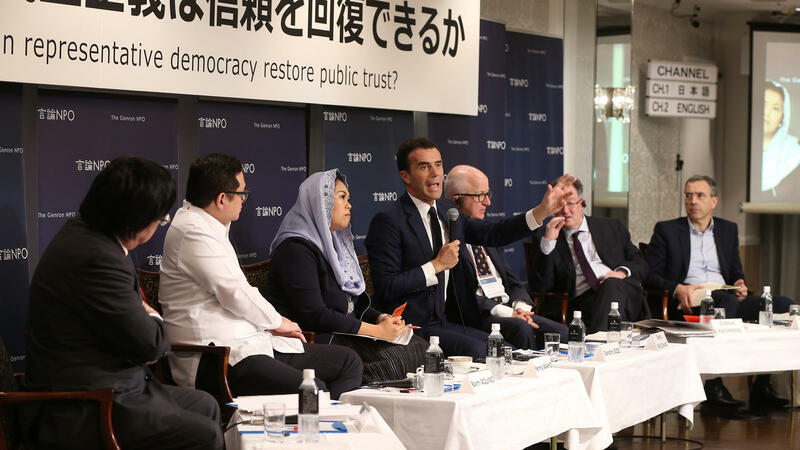 He also believes that people's memories of the region's history and historical conflicts are having an influence on the current problems faced.